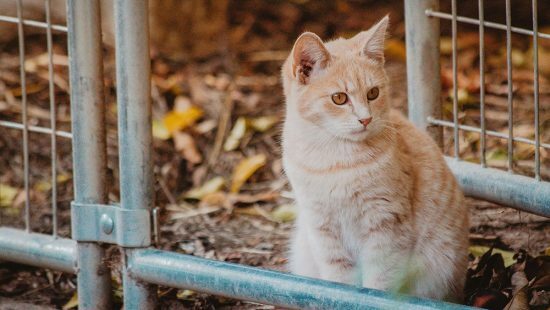 Keeping your cat calm when traveling is something most owners struggle with. We've scoured the web for tips to combine with our personal experiences that can hopefully help. 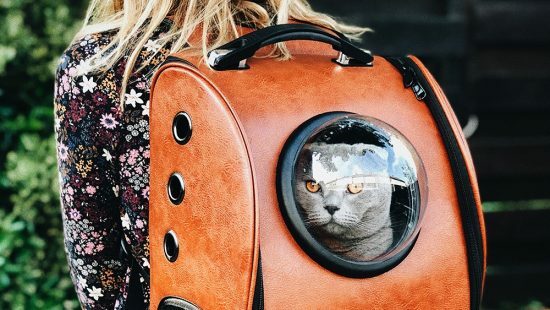 Most owners fear the worst when it comes to traveling with their cat. For the majority, it means a car journey to the vets; something which is not likely to go down well with your fluffy friend. 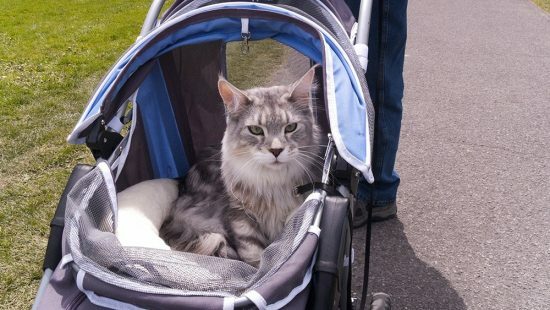 Some owners’ cats are accustomed to traveling and can be loaded into the car with nothing more than a cat bed. However, it’s very likely that you’re reading this because your cat is super uncomfortable during car journeys. This means you’ll be needing a suitable cat carrier or basket in order to stop them freaking out and escaping. It doesn’t have to be a wild struggle to get them in the basket, leaving scratches all over your arms and face (we’ve all been there, I’m sure!). There are some easy wins to be had when it comes to getting the little buggers in the carrier. If the trip isn’t an emergency and you know about it beforehand, you can bring the carrier out and leave it around well in advance of the journey. Place some of their favorite items, toys, treats etc in or around the basket to encourage them to investigate. Leaving the carrier open in a familiar space will give your cat time to adjust to it and become comfortable around it. You’ll even find that most will venture inside of their own accord, just like they would with a cardboard box that’s been left around a while. When the time comes, lure them close to it and zip it up or close the gate, and you’re on your way! Scratch free. If you’re a passenger, you should pay as much attention to your cat as possible. If you have a hard cat carrier with a gate, then place your fingers inside the bars and let them feel close to you. Distracting them from their surroundings will help them calm down a little. Despite the temptation, don’t unzip the panels on a soft cat carrier and risk them trying to escape. The last thing you want is your cat running loose in the car! You should try using treats, toys or ANYTHING to keep them distracted. If your cat is particularly nervous to the point where they urinate, your last resort should be a natural calming solution. There are plenty around but you need to be very careful that you opt for one that contains no nasty chemicals or drugs that pose a risk their health. It happens often. They pee, it stinks, you have to deal with it for the whole trip. 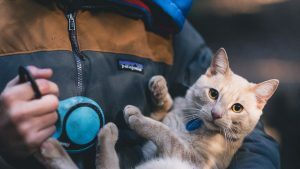 In our experience, traveling with zip lock backs full of clumping cat litter can really help, even better if it’s a litter that controls odor. Place a towel or removable lining in the bottom of the carrier so it can soak up any spills that occur while in transit. Travel with scented wipes so you can wipe the case before the journey back. Cat urine is a smell that lingers unless it’s dealt with, it won’t go away on it’s own.